The Fused Ceramic shield lining is tough, thick, durable coating of ceramic that is fused to the tank interior surface at 1600F forming a corrosion resistance lining for years of dependable protection. Equipped with pressure and temperature safety Valve for safety from both temperature and pressure increases. High performance to replace the used water quickly. Self-cleaning of sediments due to the inlets at the water inlet of the water heater that turbulent the water in a homogeneous way that also effects on having a homogeneous water temperature inside the tank of water heater. Residential Water heaters are equipped with INCOLOY Enhanced Heating Dual elements for the fastest recovery and reliable operation which lasts longer, Equipped with Diffuser Dip Tube, Anode Rod and are Available up to 120 gal. with different powers starting from 3 KW up to 54 KW. 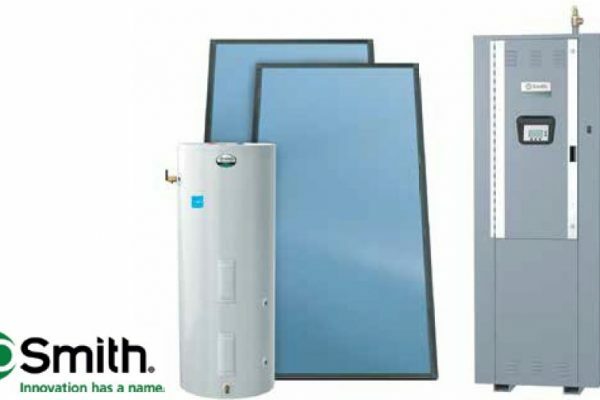 Commercial Water Heaters Can be Monitored from Remote Locations. Progressive Modulating- Sizes the Input of Available Elements to Match Current Load Conditions. Rotates and Lead Lags Element Loads to Provide Long Life and Equal Wear. Heavy-Duty Incoloy-Sheath Heating Elements, Factory-Installed Terminal Block , HeavyDuty Magnetic Contactors , Factory-wired, 120V Circuit Controls, Power Circuit Fusing, Low-Water Cutoff ,. Glass-Lined Tank (Standard) , Handhole Clean- Out(s) , Color-Coded Circuitry , T&P Relief Valve. Sizes up to 10,000 Gal & power of 3000 Kw.